Casual Character: Wow! Holy Tail! That might be a misleading title there... But anyway, did you see this thing?! 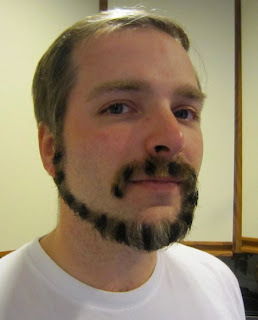 This is the latest addition to the once respectable collection of facial hair styles. As a fan of Hemingway style full beards I simultaneously detest this thing and am in awe of it. And if you're planning on growing one of these (which I probably will, even if briefly) why stop at the tail right? Let's see the rest of this monkey. Image from TheMonkeyTail.com but I saw it on BoingBoing.net first.